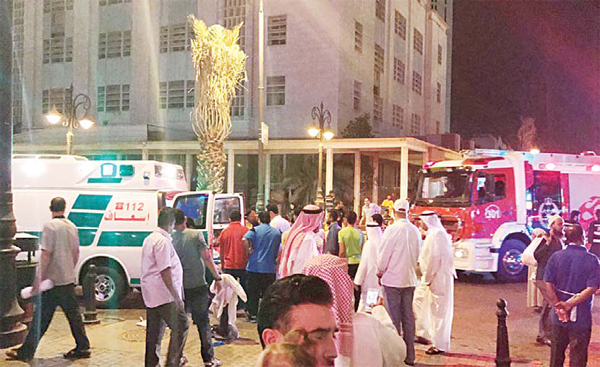 KUWAIT CITY, April 30: Fire broke out in a popular restaurant inside Souk Mubarakiya, resulted in injuries to two laborers and material losses. 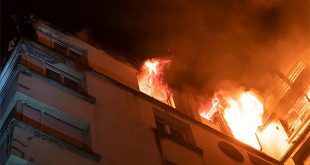 According to security sources, when the Operations Room of Ministry of Interior received information about the fire, securitymen, paramedics and firefighters rushed to the location and discovered that the fire broke out in the baking section of the restaurant. 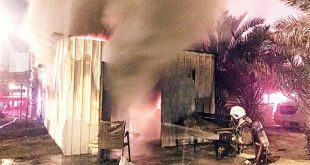 Firefighters extinguished the fire before it spread further. 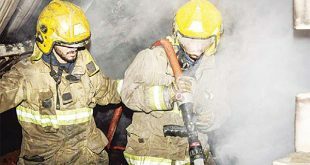 Two expatriate laborers who sustained injuries and burns were referred to the nearest hospital for treatment. Firefighters have launched investigations to determine the cause of the fire. 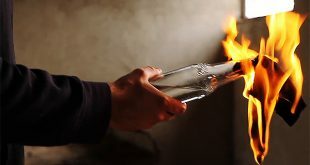 Meanwhile, fire broke out in a restaurant in Ardiya Industrial Area. No casualties were reported and material losses were incurred. 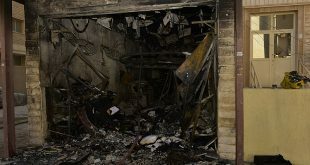 Investigations have been launched to determine the cause of the fire. 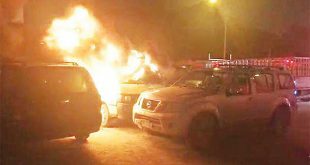 And, Jahra securitymen have intensified their efforts to arrest an unknown person suspected of setting fire to 30 garbage bins in various parts of the governorate in the last four days. 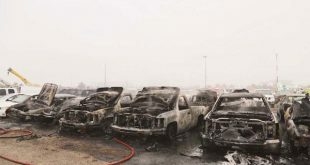 In a press statement, the Interior Ministry disclosed that its Operations Unit received six reports on garbage bin fires in Saad Al-Abdullah, Qasser and different areas in Jahra. Investigations are underway to identify and arrest the suspect.